If you ever find it intimidating to use a busy patterned paper for your background, here are some tips! (1) Layer a cut file over your background paper. I wanted to use the cute Camera paper from the Capture Life collection included in our June Hip Kit Main Kit. To tone down the pattern, I used a circle cut file to break up the camera pattern. (2) Choose photos that have a contrasting color. Navy and Coral has been a trendy color combo recently, so I knew the photos would work well, with the Melon/Coral color in the papers, since we were both wearing dark Navy colored shirts. (3) Create a large title and place it near your photos. 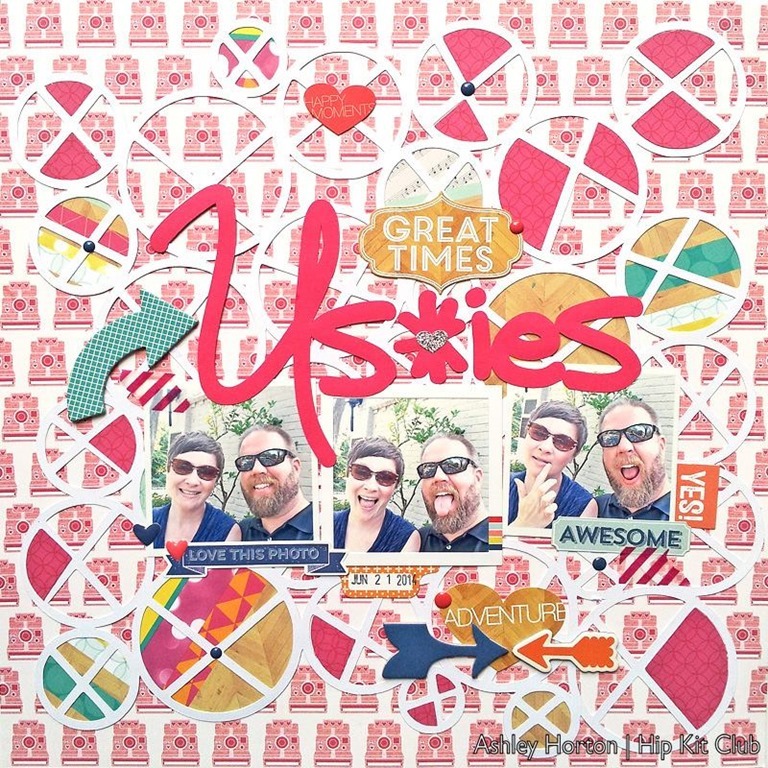 I cut the word Us*ies on my Cameo from the cardstock, included in the June Hip Kit Cardstock Add-On. After the title finished cutting, I layered it over and above my photos, to draw your eye to both the title and pictures! 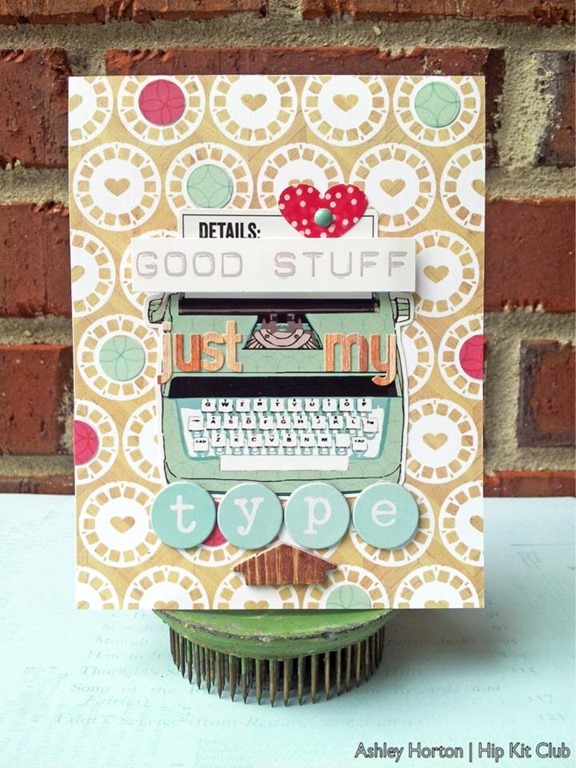 I created this fun, quick card, by combining the Capture Life Slides paper & Element Sticker Sheet, included in our June Hip Kit & June Embellishment Add-On Kit. Stickers have come a long way – and can easily be incorporated into your projects. If you add some dimensional adhesive to the back of your stickers they can give your projects a little extra texture. Super fun layout and such a great card!